Birthday parties can be a lot of pressure. People tend to expect elaborate decorations and party themes that have been planned out for weeks or even months, but sometimes, we just don't have the time or the funds to create these intricate and super detail-oriented party setups and tablescapes. And that's totally okay! Honestly, it can be overwhelming to help plan for someone's birthday when my schedule is jam-packed (which it has been--most of you probably remember I just took a vacation, and since coming back I have been swamped with work). 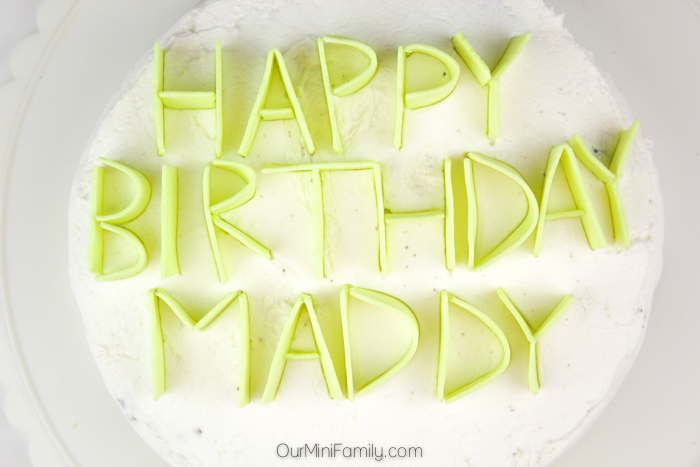 Since my awesome cousin, Maddy, has a birthday coming up I thought it would be fun to decorate a cake in her honor! 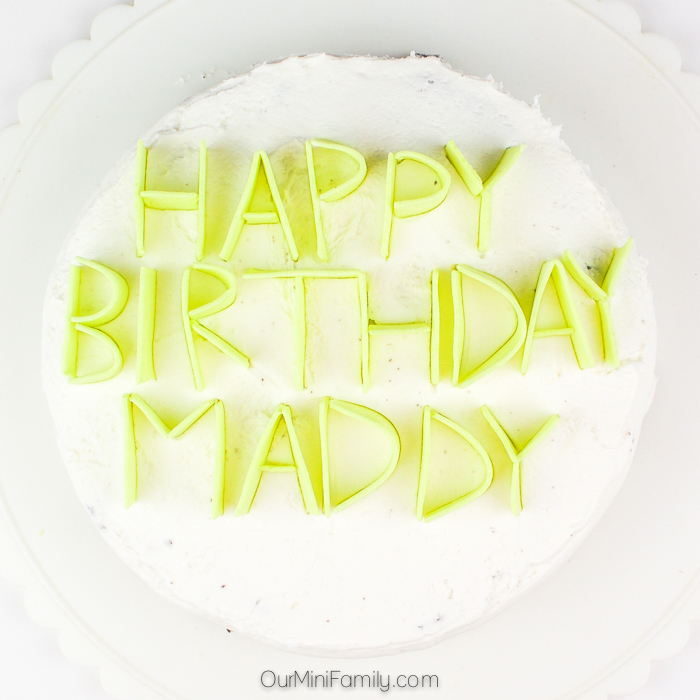 Handmade birthday details do not have to be very time-consuming or elaborately planned out--sometimes something that is both simple and handmade goes a long way. 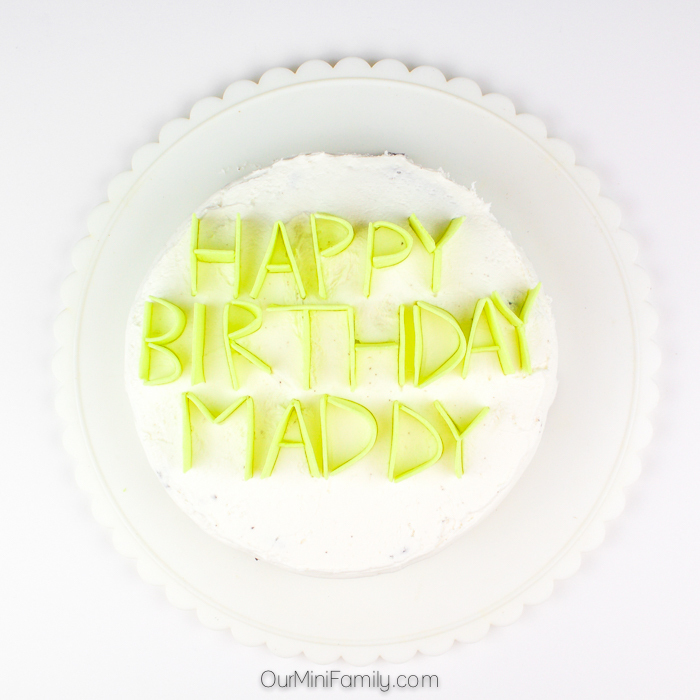 Today, I'm sharing a tutorial on how to decorate a cake with gum! 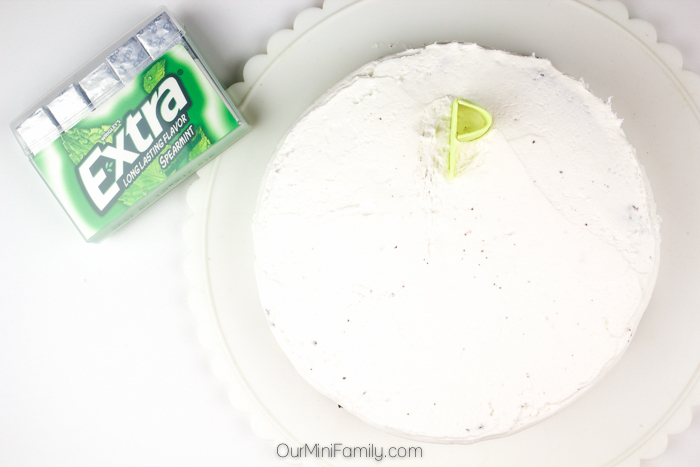 Once you have your cake, you'll need about 25 to 35 sticks of gum--I used my Extra® Gum Spearmint 35-stick package for this tutorial! To spell out "HAPPY BIRTHDAY," I used a total of 18 sticks of gum to fold the pieces of gum into the letters. Depending on how many letters are in the name of the person you're decorating the cake for, you could estimate that you'll need to use a maximum of 3 sticks of gum per letter (to be safe). To decorate a 9" inch cake with gum, you will need to fold each piece of gum in half. 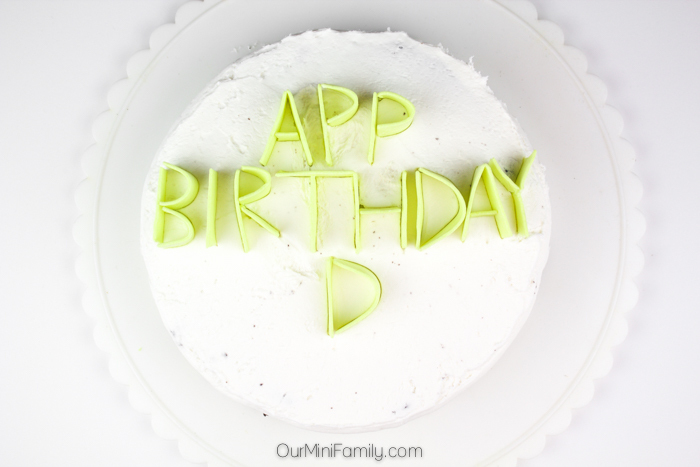 If you are using a sheet cake and have more room (more than 9" inches to work with), you may use a whole stick of gum to form your letters; the pieces of gum folded in half work as the perfect size for about 90% of the letters you'd put on your cake. For example, to create the "H" letter out of gum I folded one piece of gum in half. I placed each of the two halves about 1 inch away from each other; I grabbed another piece of gum and folded it into fourths, and then used 1/4 of a piece of gum as my middle line in my "H". In total, I used 1 and 1/4 pieces of gum to make an "H" letter. More difficult letters such as "B, R or M" may require additional folding. To form an "R," I used 1 and 1/4 pieces of gum. I folded the first piece of gum in half, and used one of the halves to create the first line on the left of the "R." Then, I bent the second half into a semi-circle to create the rounded part of the letter "R." Finally, I used 1/4 of a second piece of gum to finish the "R" with a line coming out from where the left line meets the rounded part of the letter (see finished letters in the images above for more guidance). 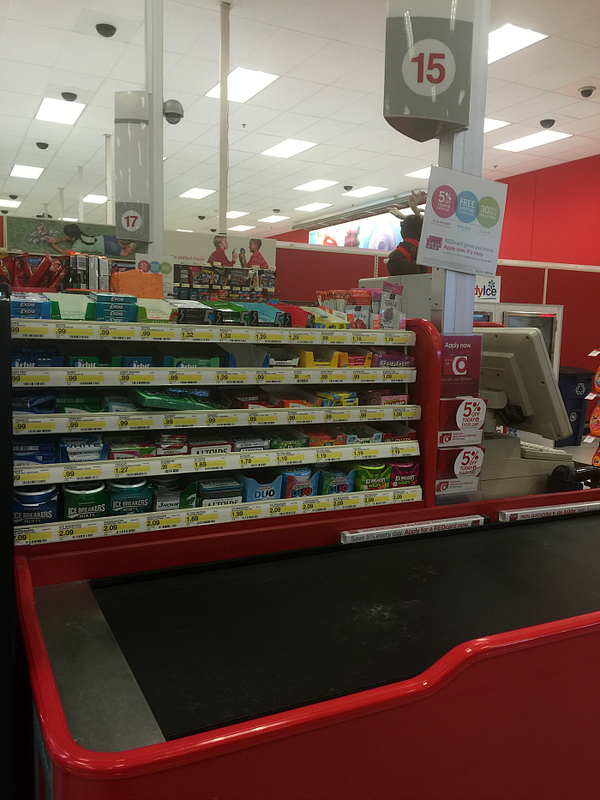 Before I started on my tutorial today, I drove down to our neighborhood Target and picked up an Extra® Gum Spearmint 35-stick package and an Extra® Gum Polar Ice® 35-stick package at the checkout line. 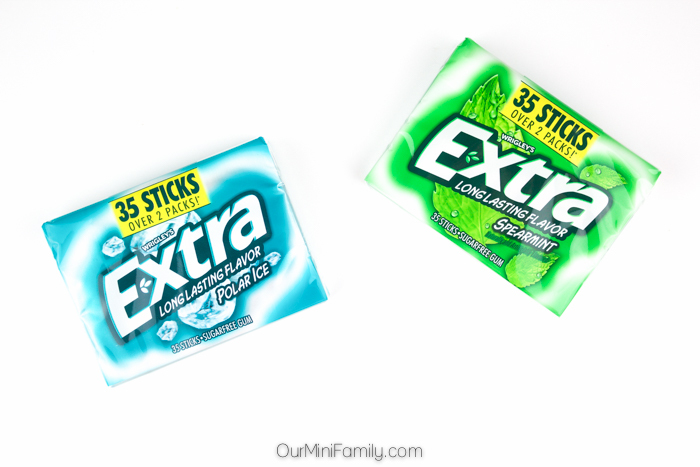 The new Extra® 35-stick pack was perfect for this tutorial, and I loved that it features more gum so I had some leftover after I made Maddy's birthday cake. Visit the "Give Extra, Get Extra" Social Hub for more ideas!